All statistics say that most people do not save enough money for retirement. Are you one of them? What are you going to do? Are you going to work longer? Are you going to cash out your house? Do you plan on taking a reverse mortgage? I may have a solution for you! The following examples presume you earn an annual gross of $50,000. If you have thirty-five (35) years till retirement, you can contribute as little as $2,000 per year and have $1,217,192 based on a 7% return. 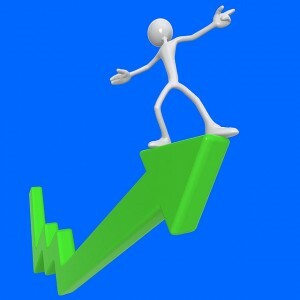 Add an additional $1,000, annually your retirement account jumps to $1,615,440. Let’s see how much you could earn if you contribute 10% of your gross income. If you contribute $5,000 per year to your 401K, your retirement account would total at retirement $3,110,975. These examples are without any employer match. When you retire or after age 70 and a half, you could draw 4% of your balance. Your annual draw (4%) would be $48,688, $64,618 or $124,439 respectively. What do you think of that? Certainly, your income would increase over the years, however in the example your contribution stayed flat. Add in an employer match of 100% up to 3%, your retirement account rises to $1,582,350 based on a 7% return. Add an additional $1,000 annually your balance jumps to $2,100,072. If you contribute $5,000 per year to your 401K, your retirement account will have $4,044,267. Your annual draw (4%) would be $63,254, $84,003 or $161,771 respectively. Are you ready to contribute to your 401K plan? A contribution of approximately $5.50 to $13.75 per day while you are working for thirty-five (35) years and achieve from $1,217,192 to $4,044,267! Pretty good, right? For the cost of a lunch, you can enjoy an enviable lifestyle during retirement. Is it enough money to make you stop and think? Do I have your attention? If you just consider contributing on the low end, $48,688 is a reasonable retirement. Of course, you should be aware that $48 ,688 will not be much in 35 years, but you are only contributing $2,000 each year! The earlier you start contributing money to your 401K plan, the more you can accumulate! Maintaining a percentage contribution as your income increases is a good way to hedge against inflation. It is your money, should you miss out on this free money? Remember, this is tax deferred which means the IRS is subsidizing your retirement. Say thank you! The tax savings will help pay for some of your contribution. It is like getting free money. Do you want to leave all that money on the table? What are you going to do? I think it is quite powerful when you say that you could have a comfortable retirement for the cost of a lunch each day. If only everyone could see it that way. Thanks, I wanted to show how little it took to accomplish a decent retirement and then some! I’m with you on everything except the 7% return. I’m not earning anywhere near that. Maybe I’m too conservative? I am hoping to earn 3-5% and I’d run with that. But that doesn’t bother me half as much as the thought that I have 33 years to go at least. The average for the stock market over the last 40-50 years has been 8-10%. Therefore 7% is conservative. There will be better and worse years over time, this is just a base for the example. If only my employer offered a 401(k) match. Oh well….I’ll keep trying to max out those IRA’s. Mine (Los Angeles School District) doesn’t either! It still is tax deferred. Excellent post! I needed this advice. This is the year I’m getting serious about retirement. This coming month I’m opening up either a 403(b) or 457(b). I’ve been debating between the two right now. I like the 457 since I can contribute up to $15,000 every year (which I can’t right now, but maybe someday!). But maybe I should just go the traditional route. Decisions, decisions. At least I’m stuffing money away in other savings accounts until I come to a final decision this month to meet my quarterly goal. Thanks. I am maxing out my 403B, when I have spare money I plan to start a 457. I believe the 457 is more restrictive than the 403B, although I haven’t looked at it in a long time. Stay tuned, Monday you will see part 2. Nice post KC! I max out my 401K up to what my employer matches (I have a really bad 401K custodian). But no scrimping on my Roth! Max out every year. I completely agree with Kris. The most powerful statement you make is “for the cost of a lunch, you can enjoy an enviable lifestyle during retirement.” That really puts it into context. Thanks, I am constantly thinking of ways I can make the message more meaningful to the audience. Every little bit counts, especially when accumulated and compounded over many years. It’s a matter of trade-offs and thinking big picture instead of instant gratification. The tax-deferred aspects of such accounts makes a big difference, no question. No reason for people to leave money on the table! Too many people do not participate at all and still others contribute very little relative to what they will need. Automatic enrollment makes a small dent, but not enough. I’ve always been paranoid about my old lady self being cold and running around the house conserving electricity, heat and food. I’ve seen some really poor elderly people and it’s just sad when you know all someone’s had to eat all day is a tin of beans and some tea. It’s scares me enough that I’ve been saving for retirement from the moment I got my first paycheck out of school. I just don’t know why other people aren’t as scared as me. Fear works for some people! Various things motivate people to do what they do. Keep it up for whatever reason, it gives you choices. It is tiring to work all your life and good thing if you will retire early. Hopefully, I can get the my retirement benefits that I deserve when I retired as well in the future. Thank for making me understand it. People work all their lives for money – They should take a little time to invest on how best to save and reinvest that money so they have something to live on when they retire. People spend their time on things they value. I don’t know why, but they do not spend enough time looking into the things that would help them in retirement.